When you have an unresolved employment law issue, you want an experienced attorney to protect your interests. You need a lawyer who fully understands the state and federal laws protecting employees and who has successfully helped other workers recover for improper activities by employers. We do more than just litigate your case -- we can help you obtain both economic and non-economic goals, perhaps avoiding litigation altogether. Contact an Indiana employment law attorney. At the office of Stephanie Jane Hahn, Attorney at Law, in Indianapolis, we have focused our practice exclusively on employment law matters since 1995. We have successfully argued claims before the Equal Employment Opportunity Commission (EEOC), Indiana state courts, federal courts in both the Northern and Southern Districts of Indiana and the U.S. Circuit Court of Appeals for the 7th Circuit located in Chicago, Illinois. To arrange a confidential consultation, contact our office via e-mail or call us at 317-569-2323. We focus our practice on the representation of employees. We handle discrimination claims under state and federal law. We also prosecute matters where retaliation has occurred. In addition to protecting the rights of workers who have been discriminated against based on their race, religion, gender, national origin, pregnancy status, and/or sexual orientation, we also protect the rights of workers under state and federal worker protection laws, including the Age Discrimination in Employment Act (ADEA), the Americans with Disabilities Act (ADA), the Family and Medical Leave Act (FMLA), and other statutes. We handle wrongful discharge claims and advise workers regarding the provisions of their employment contracts. Most of these statutes include provisions to prevent retaliation. Stephanie Jane Hahn has been a frequent lecturer at seminars and workshops for lawyers and other professionals, presenting on a wide range of employment law topics. 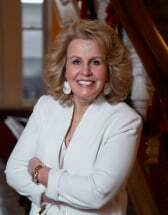 She has been a member of the Employment and Labor Law Council of the Indiana State Bar Association since 2007 and currently serves as an executive board member of that organization. We have represented clients throughout Indiana, from Evansville to Fort Wayne, from New Albany to Merrillville, including teachers, factory workers, doctors, other lawyers and other employees from various service and manufacturing areas. We take all cases, no matter how big or small, focusing our efforts on protecting your rights under the law. To set up a confidential consultation with an Evansville age discrimination attorney, contact us via e-mail or call us at 317-569-2323. Our office is open from 9 a.m. until 5 p.m., Monday through Friday.